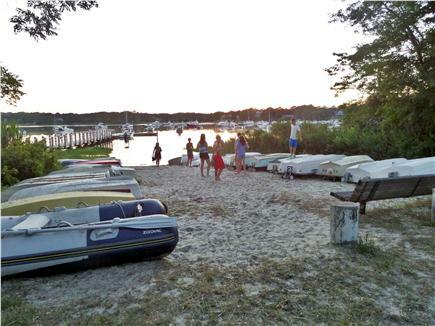 Cape Cod Escape for 2!! This architect-designed studio loft with its own private entrance is the perfect getaway setting for two. 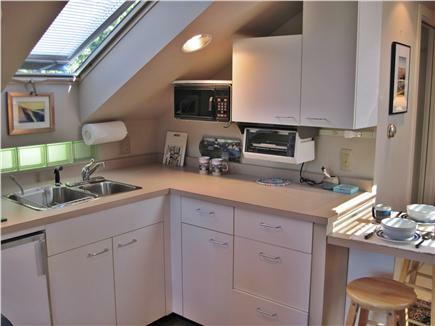 Privately located in desirable East Orleans where access to Meetinghouse Pond and the River is just a short walk away. 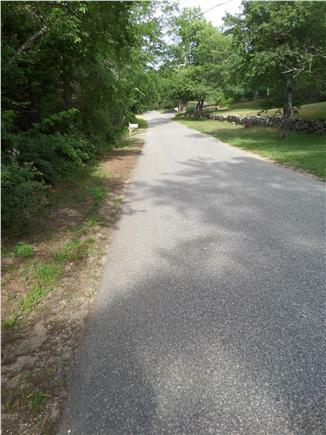 Walking path to sweet Uncle Harvey’s Pond is just down the road. Amenities include air conditioning, kitchenette with refrigerator, microwave, toaster oven, coffeemaker, table settings and glassware. Swivel the Flat Screen TV for viewing from the new Tempur-Pedic queen bed or from the couch. Full bath offers tub with shower. 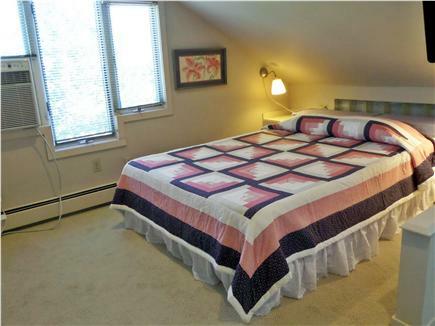 Bed linens and towels included. Walk to the quaint village of East Orleans to find wonderful restaurants, art galleries, fish market and delis, ice cream, and trendy boutique shopping! Relax in the pretty side yard with outdoor furniture and outdoor shower. 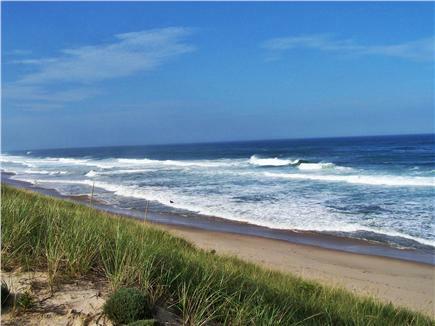 Fabulous Nauset Beach is a 5-minute drive away! Additional availability info: Weekly rentals can begin on any day of the week. Additional pricing info: $800 weekly price is posted but will rent a min. of 4days @ rate of $125 per day, State and local taxes of 12.45% will apply. Thank you, Shari and Jeff, for your kind thoughts. We are pleased that you had a comfortable stay and enjoyed the loft. It was nice having you. We hope you will come again. 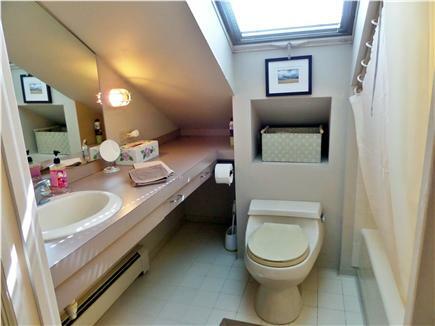 Great Private Space for 2! 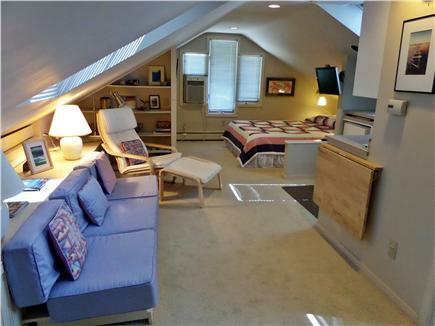 A lovely loft that feels like like an airy beach apartment! 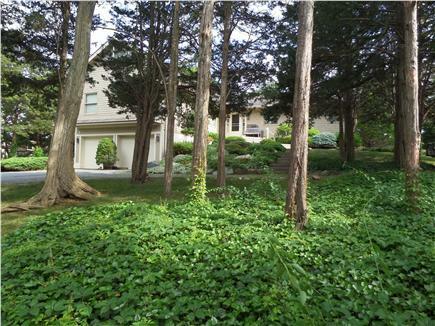 The property is gorgeous and the rental feels very private. Although it's close to the beach, we didn't have great weather the week we were in Cape Cod BUT it's a quick drive into the town's center, which is plentiful with restaurants and cute shops. 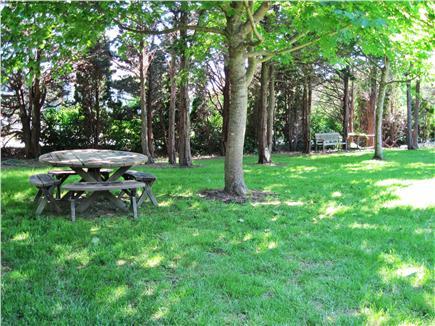 Located in beautiful, serene Orleans, this rental is tucked away like a hidden gem. Thank you for your kind remarks. We are glad you enjoyed your stay. We promise to have better weather on your next visit to the Cape. Yes, we returned to the loft this year for the second time. The owners are so nice. If you want a quiet place near beautiful Nauset Beach(you can buy the beach ticket for a week with your rental paper only $60). Since 2000 we spent our vacation at the Cape and last year we decided to change. 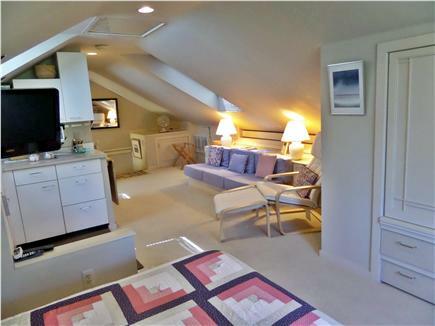 So we find this loft and I think it will be for the next vacation too. Oui.on retourne au loft pour la deuxieme fois.Les proprios sont très gentils.Si vous cherchez une place tranquille près de la trè belle Nauset Beach(ticket de plage pour 6 jrs $60.avec les papier de locations)depuis l'année 2000 nous passons nos vacances au Cape et l'année dernière on décide de changer de région,alors on a trouvé ce loft et je crois que ce sera aussi pour les prochaines vacances.Le loft est très propre,et on trouve de tout a proximité. All in all, a wonderful getaway ! I stayed there with my pregnant wife for 4 nights and it's was very nice and very quiet. Everything you need is there, it's clean and the landlords were extremely nice. It will take you 5 min by car to the closest beach (prepare $15 for parking, otherwise free after 4pm). People are respectful and welcoming. Thx. "I stayed there with my pregnant wife for 4 nights and it's was very nice and very quiet. Everything you need is there, it's clean and the landlords were extremely nice. It will take you 5 min by car to the closest beach (prepare $15 for parking, otherwise free after 4pm). People are respectful and welcoming. Thx." Very nice and quiet place. We are so happy that we found this place.